A memorial created at the Rock of Ages, Barre, VT, commemorating the workers of 9/11 was transported down I-91 Friday afternoon on its way to the 9/11 Memorial site in NYC. Fire depts. 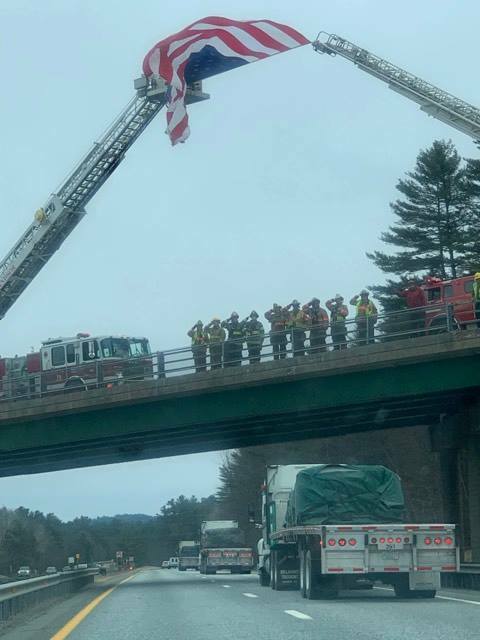 gathered at overpasses to pay respect and acknowledge the convoy as it passed through the area; this photo, courtesy of Emily Bernard, was taken near Ascutney.